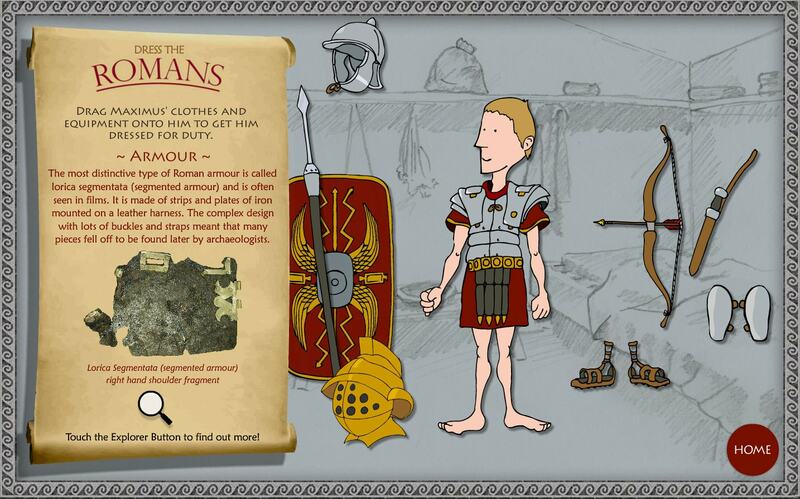 Tullie House Museum required an update to their Romans Gallery touchscreen interactives. 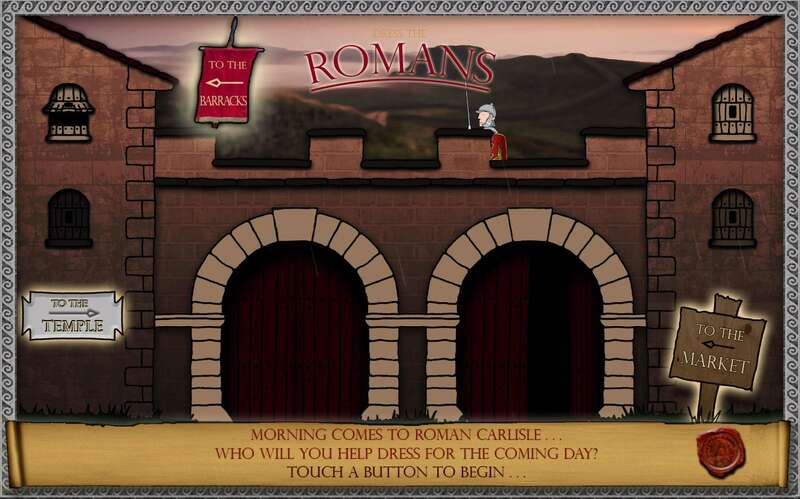 We created two games suitable for a range of ages. 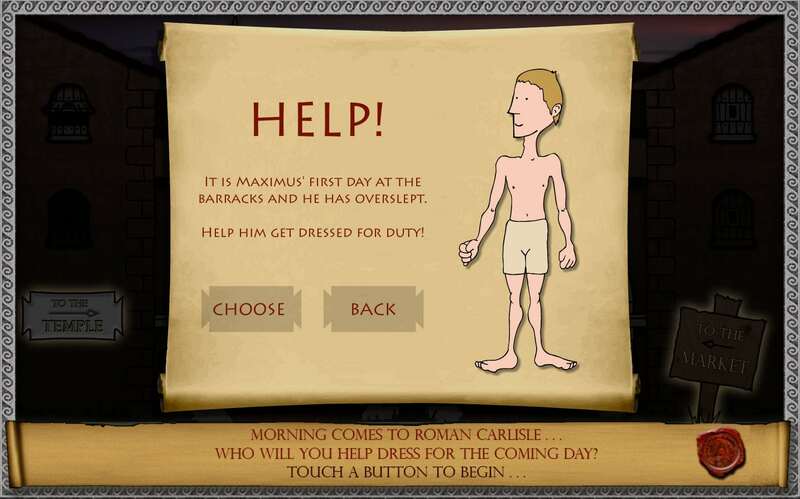 The first interactive is a “Dress the Romans” game, and involves dressing a character in the correct costume and accessories. A number of “inappropriate” items are added for fun. 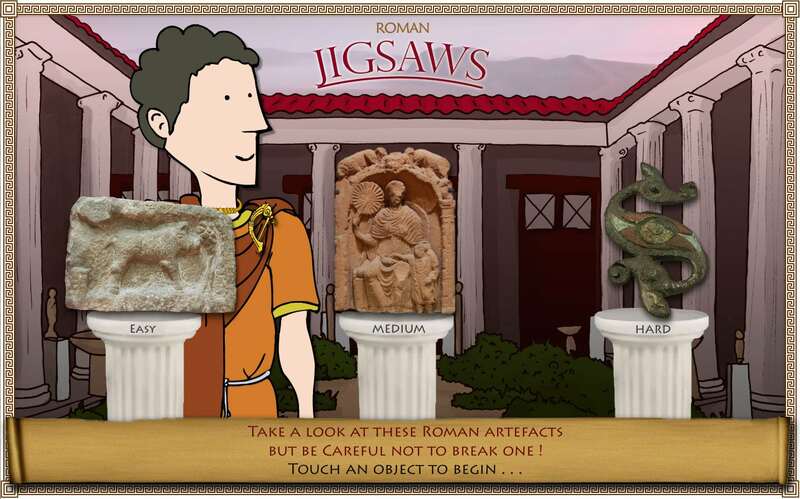 The second game is a jigsaw game with 3 levels of difficulty. 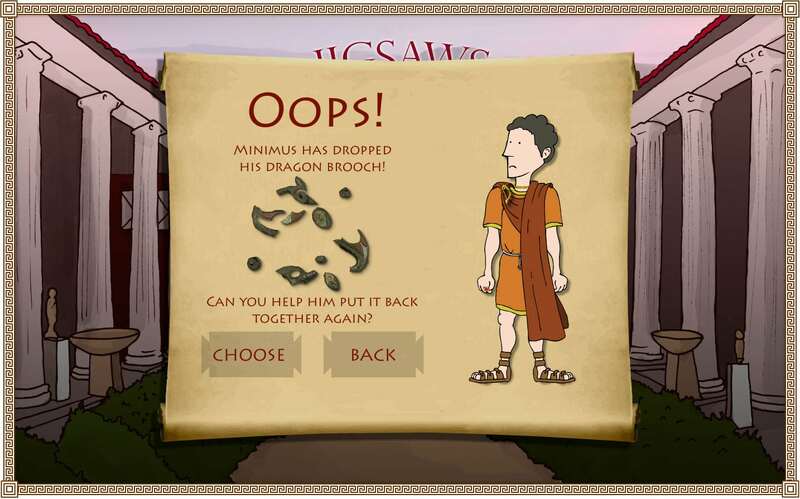 One of the characters from the dressing game drops a treasured artefact and asks the user to put it back together. 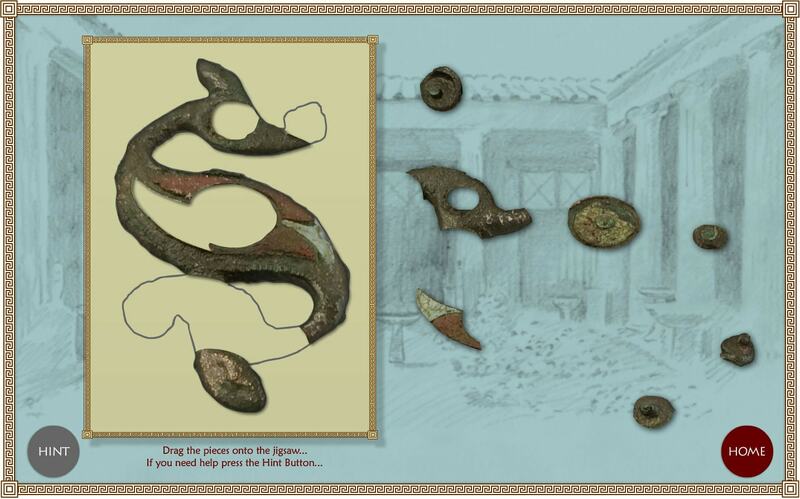 We worked closely with the curatorial team at Tullie House to evolve the gameplay and write the scripts. We created all the graphics and animation and installed the interactives in the gallery.